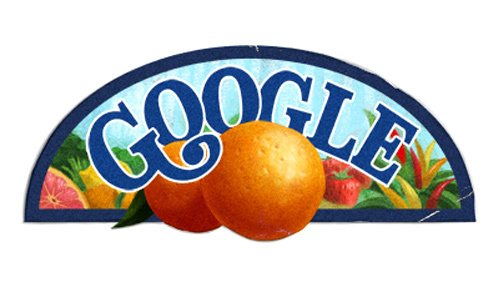 There would be days when you notice the Google logo turned into something creative and fun instead of its usual multi-colored letters. 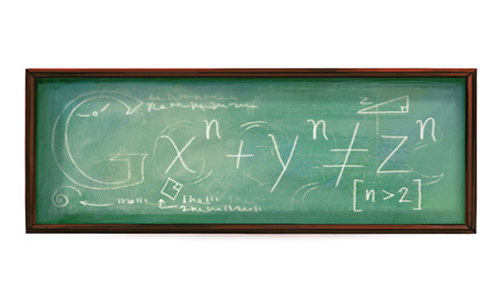 These are what we call Google Doodles. 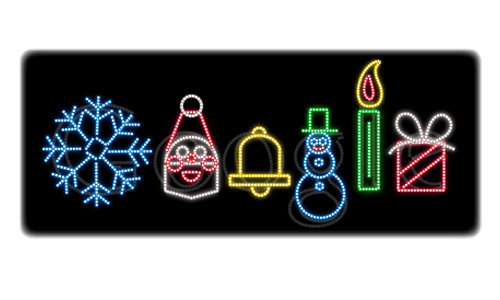 Doodles are sudden changes that happens to the Google logo to give tribute to famous people, celebrate holidays and others. You will surely be surprised seeing these unique designs appear in your screen. 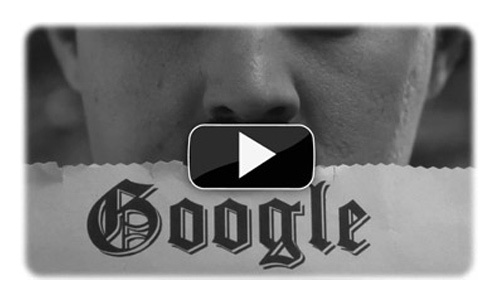 Knowing the reasons behind using a particular doodle will surely impress you. 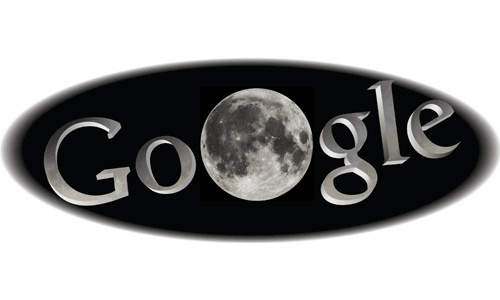 It was in 1998 when the fist doodle was made to show the absence of founders Larry and Sergey as they attended the Burning Man festival in Nevada desert. 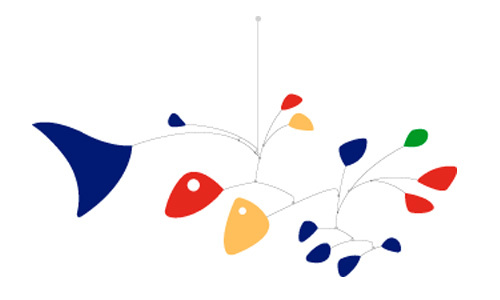 In 2000, Dennis Hwang made a doodle for Bastille Day as requested by Google founders which was appreciated by the users. 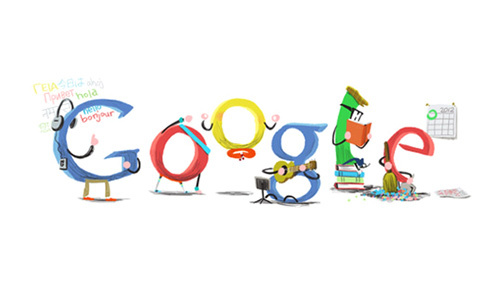 Since then, doodles were seen more regularly with Hwang as chief doodler. Today, a team is created to brainstorm events to be featured and illustrate these events in a manner that it would be significant to the celebration. You will be amazed how these doodles are made especially with the concept of every doodle. 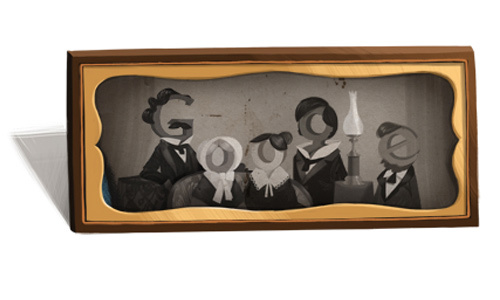 Google has certainly succeeded in choosing the Google Doodle Team who has brilliant and creative minds. 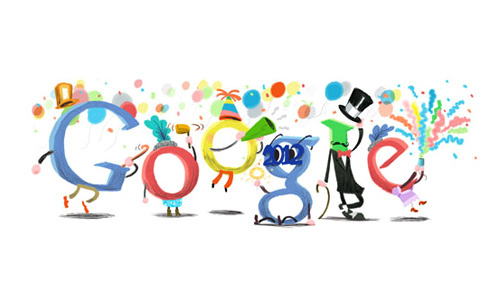 Today, as we welcome another year, allow us to give you a round-up of global Google Doodles in 2011 including the first Google Doodle in 2012. 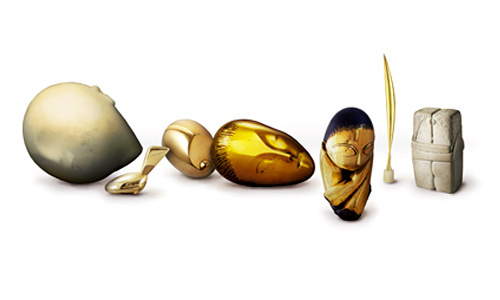 Take a look below and be amazed at their amazing artistry. A blessed new year for 2012 shows a doodle with busy characters working for a better year. 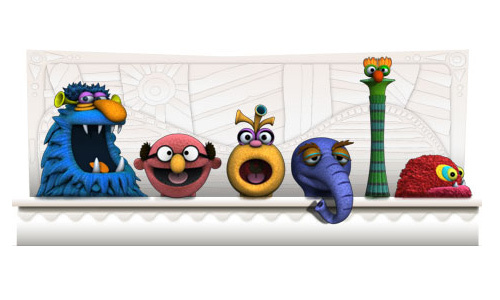 As the world celebrates New Year’s Eve in closure of the year 2011 and to welcome year 2012, a Google Doodle of noisemakers was used. Inspired by the winter solstice using lights as decorations on tree linings to celebrate the holidays. 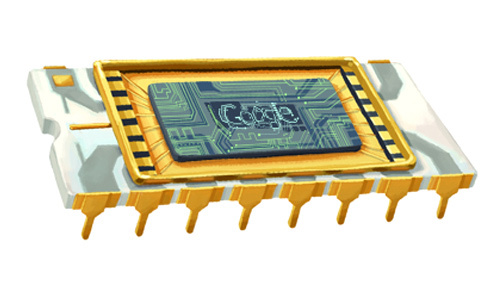 Robert Noyces is considered as the modern Thomas Edison being a co-inventor of the microchip. 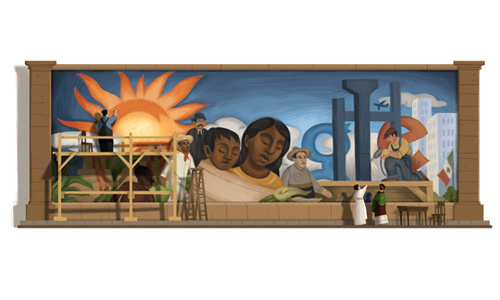 Known for his murals, Diego Rivera is an artist and activist from Mexico. 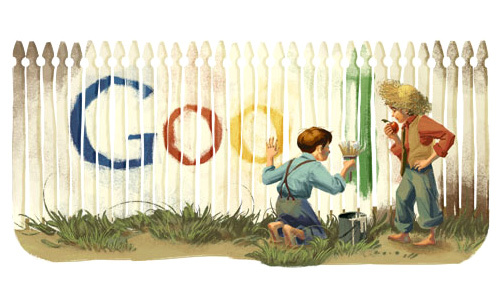 Showing one of the scenes in his famous writing, The Adventures of Tom Sayer, the Google Doodle gave honor to the writer and humorist, Mark Twain who is known worldwide for his works. Daguerre is a master chemist who have discovered the daguerreotype process for photography. 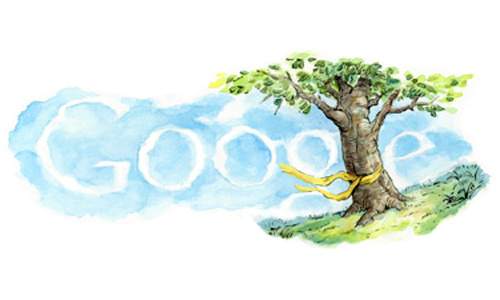 A yellow ribbon tied in an oak tree is just perfect to give honor to the veterans and their families giving a nostalgic effect. 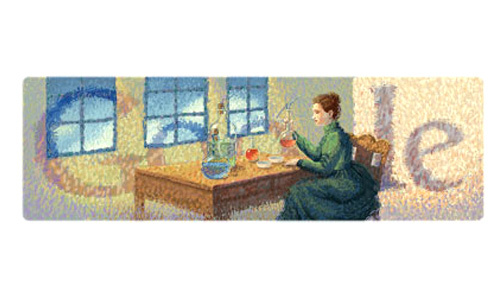 An icon in physics and chemistry, this Google Doodle gives honor to Marie Curie who have discovered polonium and radium and the development of the theory of radioactivity. 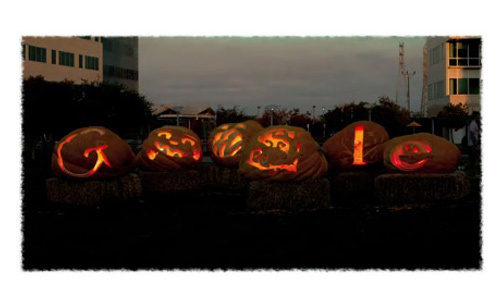 A video of people carving six pumpkin giants to show the celebration of Halloween. Blair is a famous artists who is also known with her words, “live to be happy and paint to express our happiness” which is the reason why her work always show a sense of joy. Clokey is a pioneer in animation who worked with clay to create dynamic stop-motion sequences that are both entertaining and attractive. 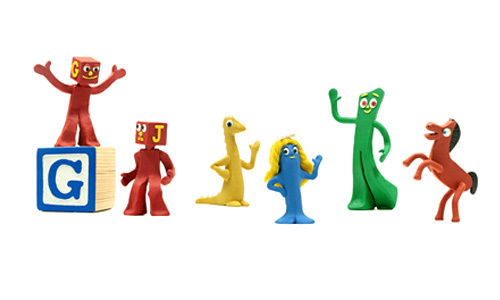 The doodle shows characters of The Gumby Show, Blockheads, Prickle, Goo, Gumby and Pokey. 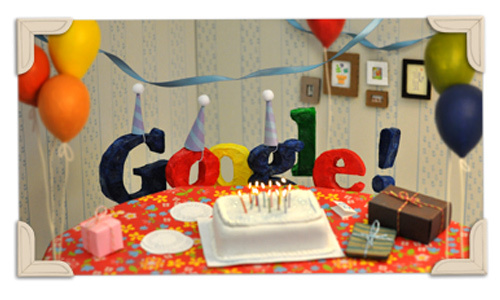 The letter of Google were treated as characters in a birthday party surrounded by a miniature set complete for celebrating a birthday. Combining his love for creativity and games, Jim Henson developed technology for animatronics and digital animation. 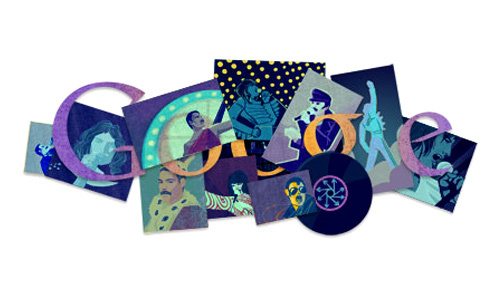 A Google Doodle in honor of the scientist who discovered Vitamin C.
A tribute to Queen’s frontman, Freddie Mercury who have given music a different life. Giving honor to a writer whose concepts are in mythology and tradition yet managed to give relevance to modern civilization. Pierre de Fermat wrote the Last Theorem which states that no three positive integers a, b, and c can satisfy the equation an + bn = cn when n is greater than two. A tribute to Lucille Ball whose timeless jokes still live today as she showed her prowess in comedy in I Love Lucy of 1957. An American artist known fro inventing the mobile. 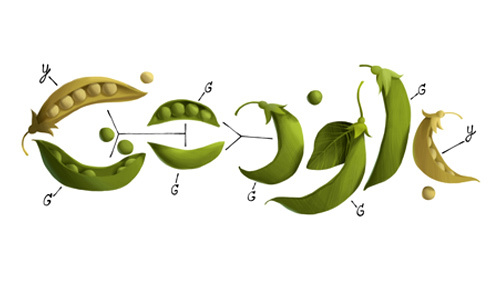 In honor of Austrian friar and scientist, Gregor Mendel who worked with genetics. 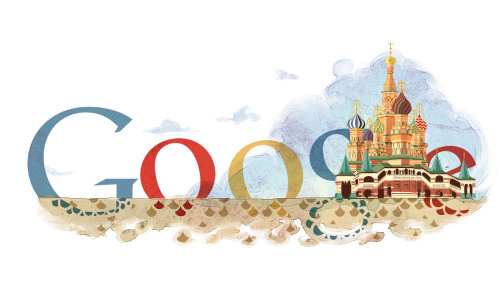 To show the 450 years of Basil Cathedral built in 1561 but is still standing strong today. 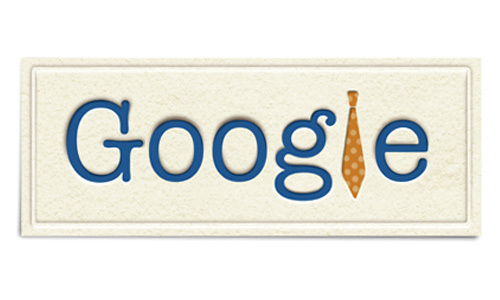 Showing a tie and a business card like doodle to honor fathers in the entire world. 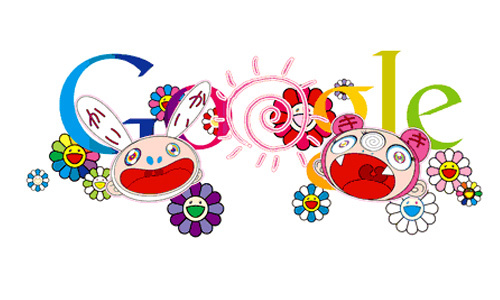 A Japanese art done by Takashi Murakami to say hello to the Summer and Winter Solstice. Showing a live imagery of the rare 100 minute long total lunar eclipse done by Slooh Space Camera to allow people who cannot see it to have a view of this fascinating phenomenon. 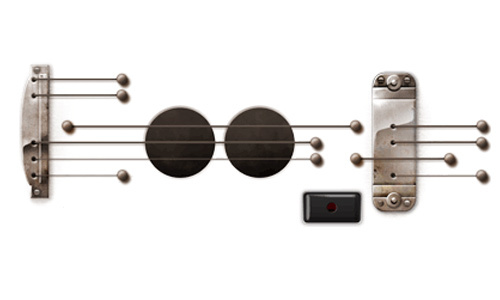 To honor the genius mind behind the creation of electic guitars, Les Paul. Showing Martha Graham’s style of dancing that revolutionized dance and theater worldwide. 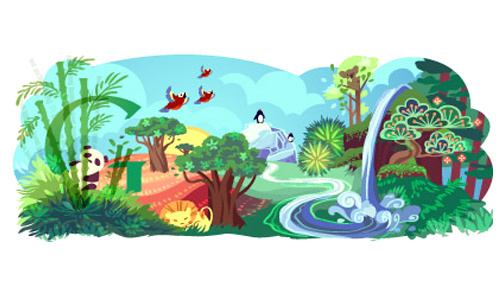 The Earth Day doodle shows the environments of Asia, Africa, Antartica, Australia and America if this world is well taken cared of. Charlie Chaplin is the world’s greatest star for humurous silent film era. 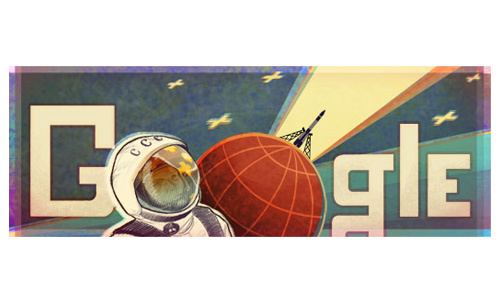 Looking back to Yuri Gagarin’s first launch to space in 1961, this doodle shows Vostok spacecrafts launched. 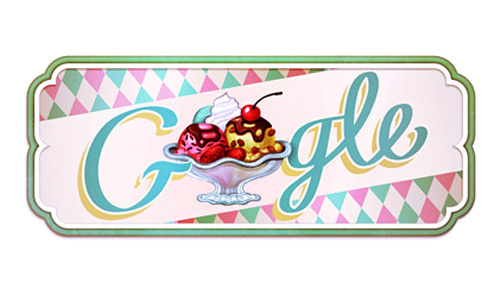 Everyone would be thankful that this day came for it was the day the ice cream sundae was first made. 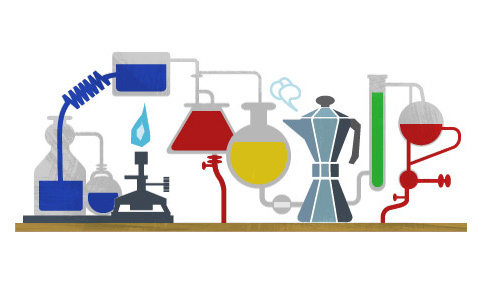 You’ll always remember Robert Bunsen in chemistry class as you see a chemistry set with bunsen burners. 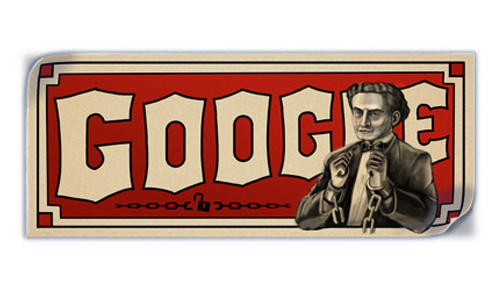 A tribute to Harry Houdini, a magician and escape artist. 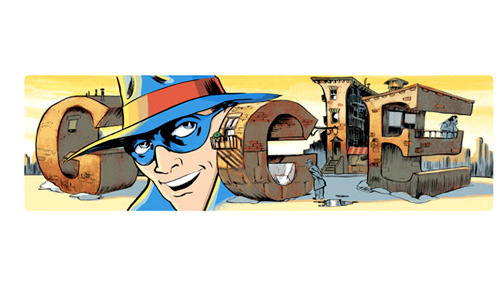 Eisner is a cartoonist and comics creator who had been an inspiration and mentor to multiple generations of comic artists. 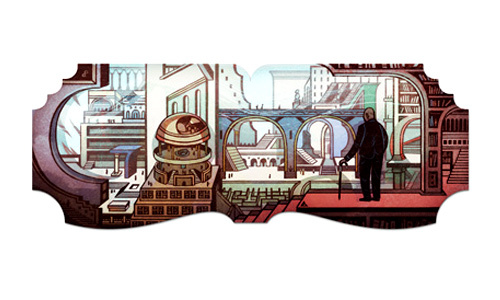 Romanian sculptor Constantin Brâncu?i’s work is seen in this doodle in honor of his creativity and great artistry. 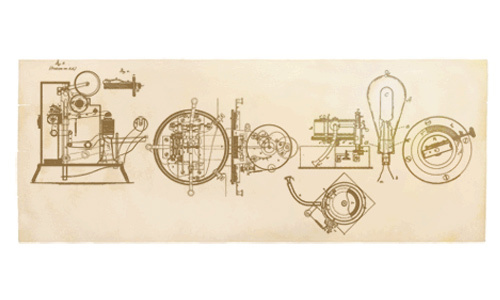 Everyone knows Thomas Edison for his discovery of many things like the light bulb and the telegraph machine. 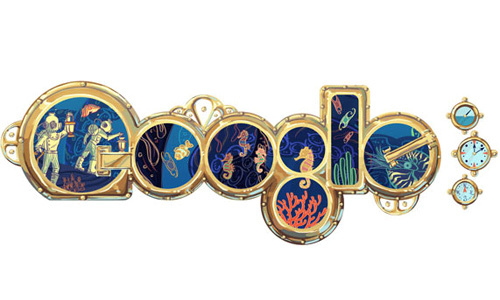 Showing a deep sea exploration relating to Verne’s book, the 20,000 Leagues Under the Sea. 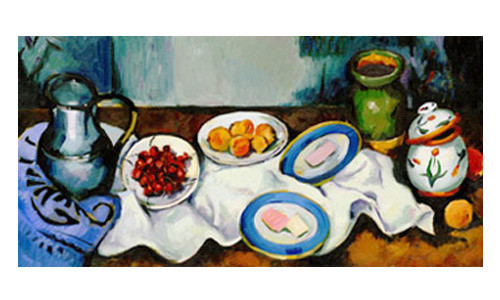 Depicting a Renaissance art to show Cezanne’s genuis work in playing with shapes, colors and other elements in a canvas. 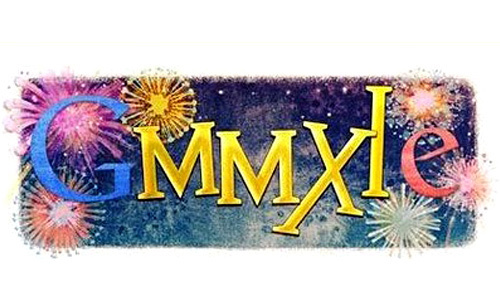 Latin numerals MMXIE was used to replace 2011 to celebrate New Year’s Eve and New Year’s Day in 2011. 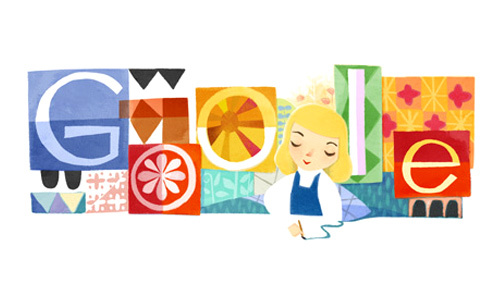 No doubt, aside from its great designs, doodles have reminded us of these important days and have united the people around the world. 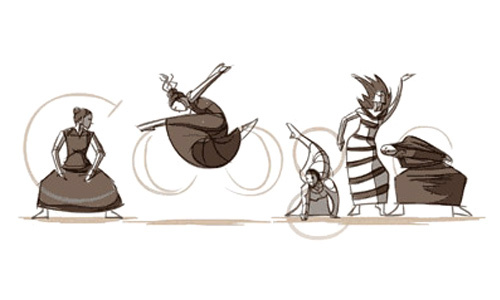 For sure, you had fun while looking at these Google Doodles. These are indeed fruits of intelligent and creative minds. There are already thousands of doodles made since 2000. This year, let us look forward for more doodles that give honor to famous people and show different celebrations worldwide. 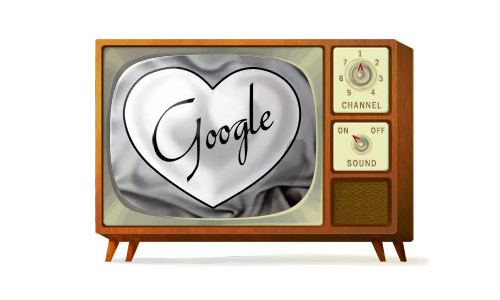 Are you a fan of Google Doodles? What are your favourite designs?